Suitable for any Snuggly DK yarn. 1 4mm (UK8-USA6) Circular Needle if required. Four gorgeous Blanket patterns using supersoft Snuggly DK. 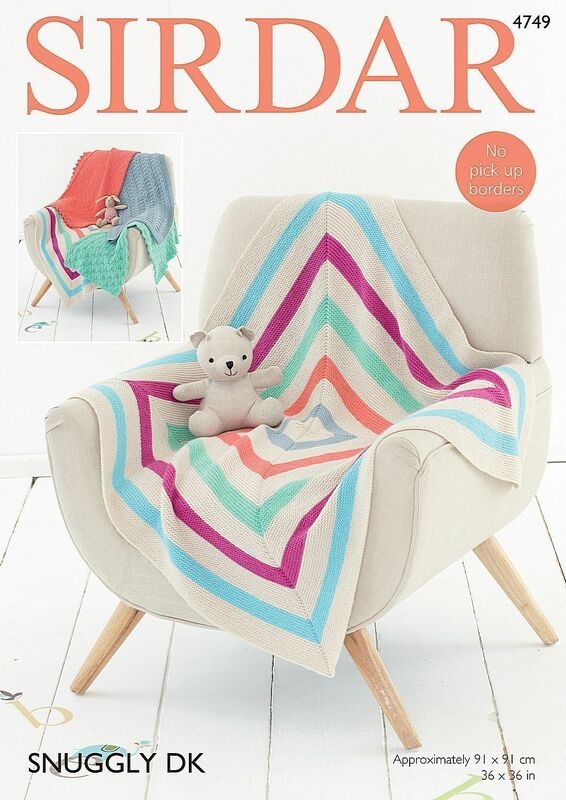 Choose from a Leaf Patterned Blanket, Diamond Patterned Blanket, Cable Patterned Blanket and Striped Blanket. Alternatively, you could make all four! No pick up borders.